[Project] Melee Mewtwo Alpha v2.00 (Project Melee & Brawl+ Final Version) by AGFanProduction with credit to CeeNL, KingJigglypuff, Pikazz, DarkDragoon, Steelia, ds22, GameWatching, [TSON] and Namq. What is included on this download? +Mewtwo in the "Unlocked Characters" Data. +Mewtwo stock icons on the result screen. +For manual editions, a Readme.txt in each folder with a detailed tutorial for certain homework included. +Bonus folder with Mewtwo's customized content for some famous mods for Brawl, like Project Melee and much more! What is the change list for this Final version of Mewtwo? - Melee Psychics added to the PSA. 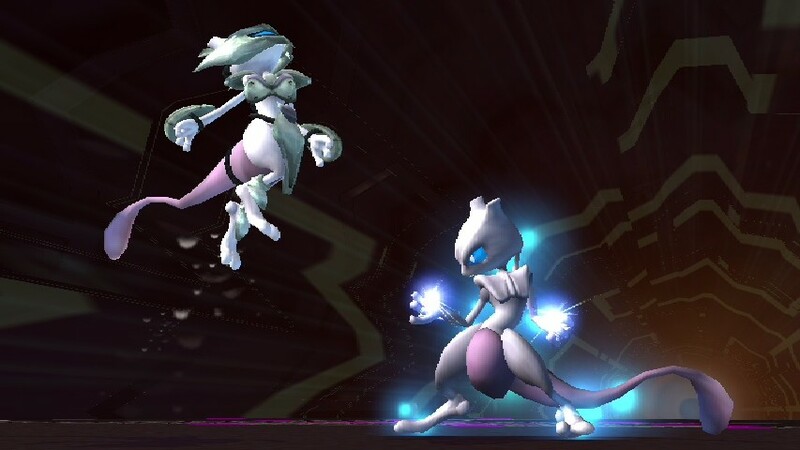 - Melee Mewtwo's ripped Shadow Ball textures where added to the PSA, also matched his charge behavior to Melee's. 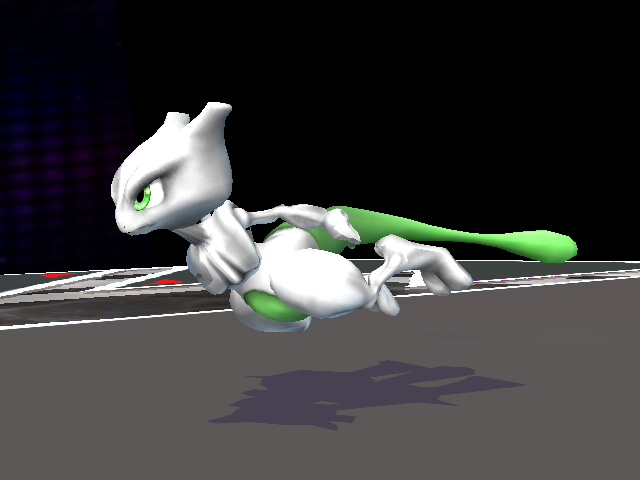 - Mewtwo's Shadow Ball now goes Ziggy Zaggy when fully charged, with Melee's hitboxes. - Fully revamped Animation and PSA work from previous versions. - Melee's Down-B Disable attack was finally able to be created just like in Melee, give credit to KingJigglypuff. - Melee's Side-B Confusion move was fixed and matched up to Melee's move. - Melee Hitboxes and Knockbacks where added to the Final PSA in general. - Fixed all the Graphic Effects to Match Melee's. - Melee's animations where added to the Motion.pac and where fixed and matched to Melee's in PSA. Why is this the official Final Version? Because everything has been changed, the level of detail is unique. Now enjoy the most complete hack available in the Brawl Vault and the Brawl hacking world in general. Roy's out boy! Search for the Melee model import in my Vault! have fun! I you find some bug PM us. Now Enjoy our boy; ROY! 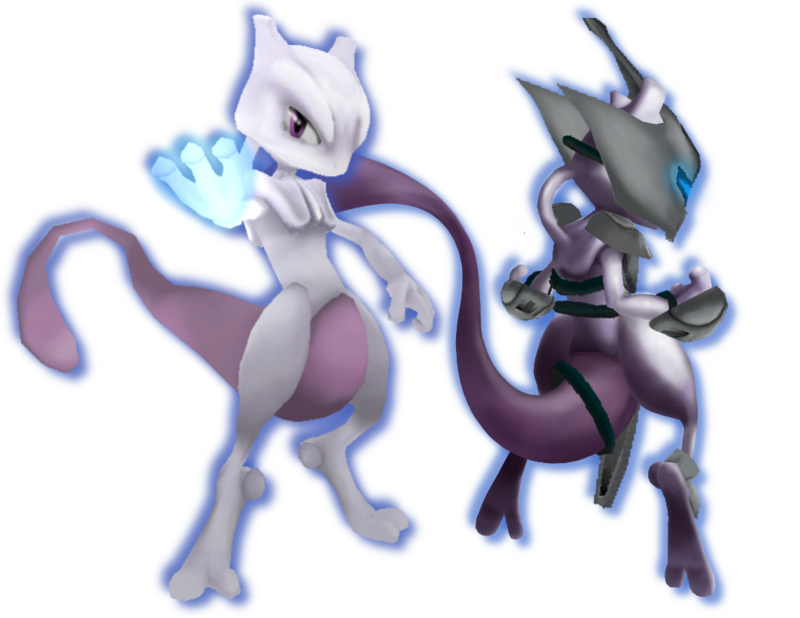 [Project] Melee Mewtwo Alpha v2.00 (Normal Brawl & Riivolution Final Version) by AGFanProduction, AceSe3don with credit to Stickman, DarkDragoon, Roo525, Tri-Bow, TheEnigmaIsBroken, OniKage and SuSa. 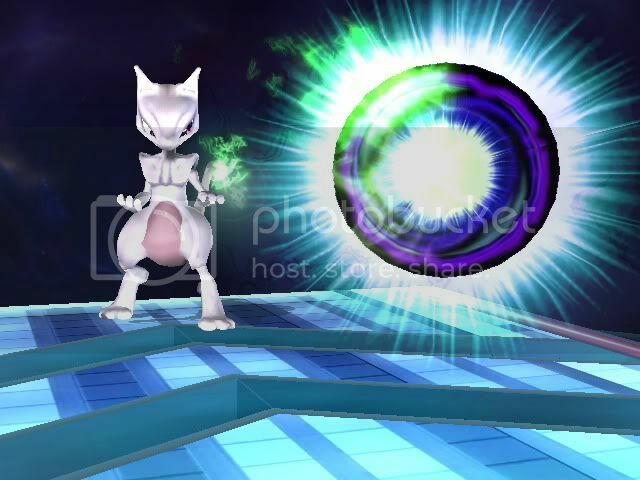 - Melee Mewtwo's Sound Effects added to the Riivolution version. -Melee Mewtwo's SFX for Super Sawndz editing. -Improved tutorial of how to insert this SFX on a blank .brsar file with HxD, in case you don't want to use the one included on the download. -Improved tutorial of how to insert this SFX on a blank .brsar file with Super Sawndz, in case you don't want to use the one included on the download. Special Thanks to AceSe3don for making the first version of this SFX hack! For Riivolution use ONLY, because it doesn't works with Gecko us! Download for the full force of Mewtwo! Been working on these almost all week, since Star gave me time to work on this pack. Also included is a new Victory Theme, CSPs, CSS stuff, and battle portraits. EDIT 10/13/11: idk why it freezes, it works fine for me. Maybe it might be because this hack doesn't work with Riivolution and prefers Gecko. EDIT 10/12/11: Here's the set-up: The Purin files all go in the purin folder, except ft_purin.rel. That goes into the module folder. The codes you HAVE to add to the hack. Hey there brawl hackers, big or small. This is the LC with a revamp of Mewtwo over Jiggz. Is this the final version? Maybe it is. I'll think about making a V4 and giving the hack Jigglypuff's sfx, that way someone could replace them with Melee Mewtwo's voice. Happy brawl hacking. 1.This Hack only works in the RSBE01 Version of SSBB! 2.It has problems if you didn't put all the necessary files in the correct way on the ''toonlink'' folder. This is Not a Recolor, each Texture is ripped from Melee, Now enjoy the team's Hard Work! Pik give me permission to use his model in this hack! don't report! Original Color Pack Ripped from Melee with Melee Kirby Hat!!! Any error just PM me OK! I made some recolors for the awesome JP3 texture for the T-Rex Import that AGFanProduction uploaded earlier. Melee texture rips/application by me! The original Melee model with his original respective recolors from Melee! You want Quality? You want this. New Version! 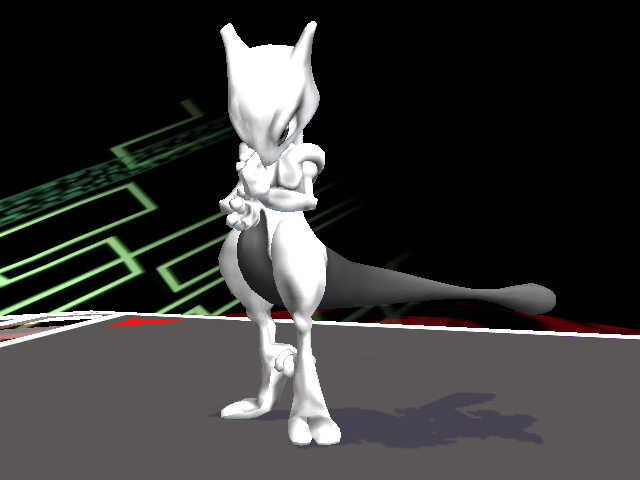 Smash Bros. Melee: Mewtwo Texture Pack! This is the truly real and original version of the Melee Mewtwo Texture Pack, try this with our Melee Mewtwo PSA and you will feel like your are Playing in SSBM Itself! Heh,it won't freeze. If it froze,you just forgot to put "No entry" code. OK guys I fixed all of codes,module files,and so on. I think it will work. If there are problem with this hack,please tell me. I got permission from gurdoman. 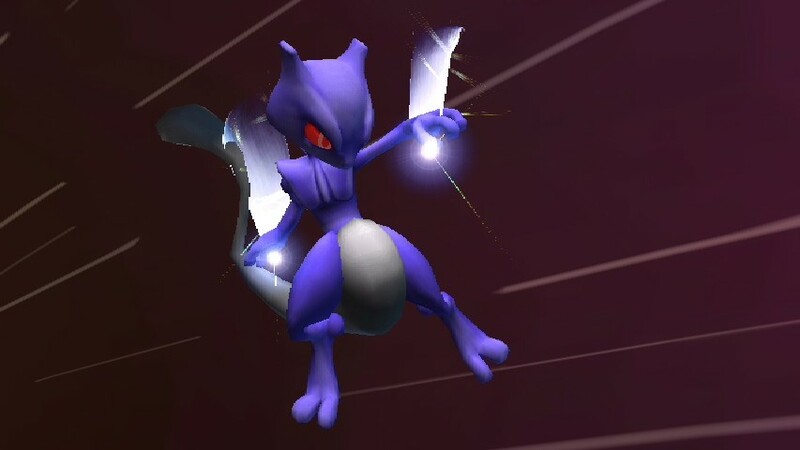 [Project] Melee Mewtwo Alpha v2.00 (vBrawl BETA Version) by AGFanProduction, _Data_Drain_, KingJigglypuff with credit to Mewtwo2000, BigSharkZ, gokuguy, IndigoFenix, Bobson and DragonRage. All credit goes to KingJigglypuff for starting the vBrawl conversion of the Full Final PSA and Data_Drain for continuing the vBrawl beta testing for the future updates. Why this is NOT the Final Version? Great details still need to be done/changed for a better gameplay balance, that's all. EDIT 6/8/12: Ha, what a dumbass. If it freezes in the entry, then use the 'no entry' code in the txt document. God, the stupidity of some people. Thinking about quitting because of them. I textured his armor like the movie's armor, I also re-did the eye to match his movie counterpart. Also, It includes 1 Slot and PSA versions of each texture. Fan of the Brawl-Styled characters, this is for you! Brawl Pichu! The Melee default texture was released along with his recolors on the original download, so I didn't had to rip the recolors for it this time, instead, I managed to make the Brawl Styled Pichu Import based on it's Brawl Styled texture hack for Melee. Note: PSA not included. Model ripped by Oshtoby, fixed by Dr.
Mewtwo v1.01 over Luigi (Final Version) by Carnage, AGFanProduction, SonicBrawler with credit to Project Mewtwo team members. It has both NTSC and PAL sound (Luigi voice) so if anyone wants to make a sound bank go ahead. Must use the Models in this version delete the older ones. It OBVIOUSLY needs the "no entry and no result codes", almost ALL ports do, unless it's stated otherwise. This is a mini project I had with the mewtwo over Donkey hack on the vault, didn't change much of the psa just a couple of animations and ALL the sfxs. Credit goes to LCCoolJ95, AGFanProduction, Carnage, GBC, ads15. What changes from the Mewtwo over Dk? *CSP and stuff, you just have to change a couple of things. AGFanProduction Showcase - Smash Bros. and Godzilla Textures for Brawl! The Model was made by KTH, give thanks to him! Melee Mewtwo Alpha v2 (Plus HD Colors) by Register, AGFanProduction with credit to AGFanProduction for the PSA, & all the MANY people who worked hard to get this hack going... You guys are awesome. 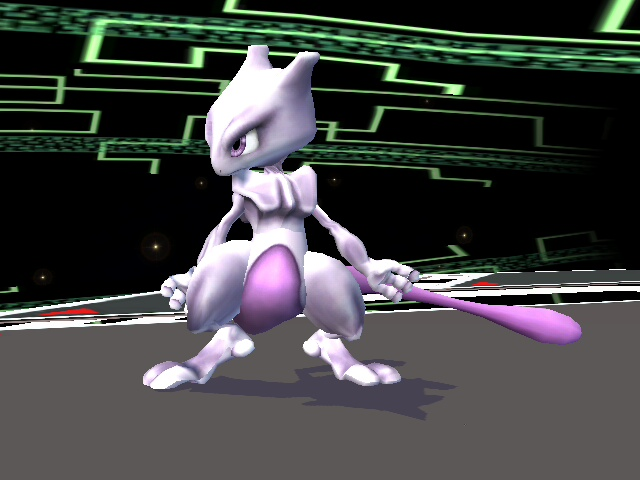 Retexturing of the Melee Mewtwo Alpha (BETA release) by AGFanProduction and company, utilizing SSBMHQ textures. The package contains some pictures, as well as the PAC and PCS files needed for all costumes. The *First Final Alpha* of Mewtwo Project (mostly by me in this last update Â¬Â¬) is here! - Must replace old PSA files with these ones. - Must use Model included in the pack or it will be a mess in 49% of animations. This one also works with pikazz model Import but like I said before *tail and hands are a mess in SOME animations, not all of them*, check my Multi-PSA thread for the ported/improved version of this PSA. Enjoy and don't use without my permission. New download link added for collaboration problems. No need to re-download, purple texture was removed from the pack. I have permission from EVERY person listed in collaboration and credits to submit this! So don't report for that. All Ripped and assembled Colors by me.! - Animation SSBM (Download and Discover ;D). Using PROJECT MELEE'S Melee Ganondorf as a Base. Yesh JP3! the reason of why I didn't included this on the first download is because the textures are completely different! Check it out! this one has his exact green-ish colors from the movie, textures from the JP3 3D Model itself! so yeah! and same way as the other texture, you have to use it with KJP's T-Rex PSA or it won't work properly! -You can find the HD recolors somewhere in my vault if you want to keep this texture with some others alts! Hello and Welcome, today I present you this unofficial Mewtwo PSA edit I made for the Project Melee 3.00 Mewtwo Mod, all the credit goes to the PMBR. - Version 2 has a different Final Smash, completely different to the original (Version 1). I want you to know that this custom PSA is NOT BROKEN, this means that it is balanced enough to play it without worries on Project Melee 3.00, all I changed was what I mentioned before, still has same hitboxes and stuff. I wanted to make a new Master Mewtwo PSA when I first started this, but I think the current Mewtwo is already alright with his animations, flags and hitboxes, so I only made this for fun, to try new stuff, and it turned out cool and stable. Hope you enjoy this custom PSA! PSA edits by AGFanProduction, credit to Project Melee for the original Mewtwo Mod for Project Melee 3.00. Super Smash Bros Melee ; Ripped Young Link Textures for Link! Note2: This Goes over Link! Page created in 0.358 seconds with 137 queries.